This one is awesome. Great Spidey art. It takes me back to the old Steve Ditko and John Romita Senior art, but with a new school feel. Dang!, u r 1 talented son of a gun! I appreciate it you guys. daraf - yeah those guys rock! I was also looking at some old Ross Andru artwork - really starting to appreciate his stuff more. Very cool, Mr. Tsai. Nice cam angle. thanks Chris, hope you had a good holiday! thinking of purchasing Facebook likes. USB SchlüsselPowerboat CharterThis one is awesome. 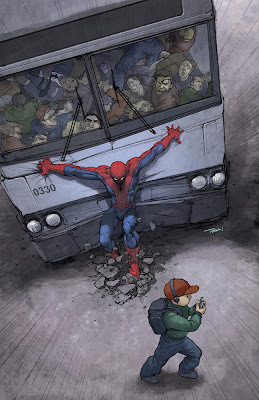 Great Spidey art. It takes me back to the old Steve Ditko and John Romita Senior art, but with a new school feel. cesoia a ghigliottinar4This one is awesome. Great Spidey art. It takes me back to the old Steve Ditko and John Romita Senior art, but with a new school feel.